These models usually have a general, unique interior space or a sequence in a space. The mission of interior spaces models, carried out at a level of 1: 100 to 1:20, consists of reflecting spatial, functional and lighting problems. Furniture, materials and colours are usually chosen using a model of the interior space. In the framework of an edifice, models of representative interior spaces are built, for example, vestibules, stairs and conference rooms. In the group of models of interior space are included the scenography models also. The scale models of interior spaces are used primarily to visualize the effect produced by different materials and colours. The conceptual Architectural models of interior spaces are built to simulate the qualities of space in a simple manner. For them, easy-to-purchase materials are used, and they are assembled, such as a shelf, in order to reproduce the characteristics of the corresponding interior spaces. 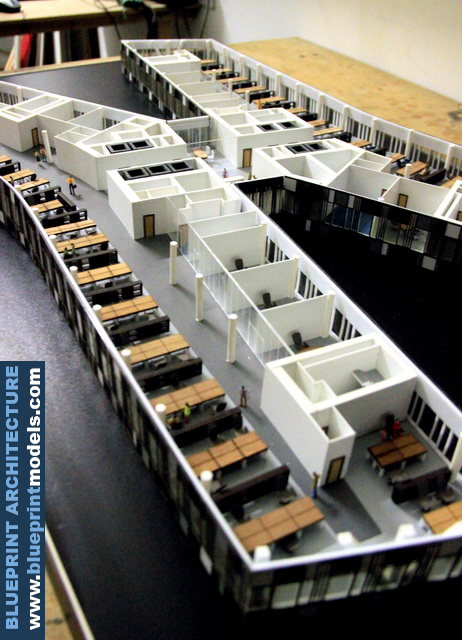 This Architectural model focuses and defines the ideas of the interior design project. 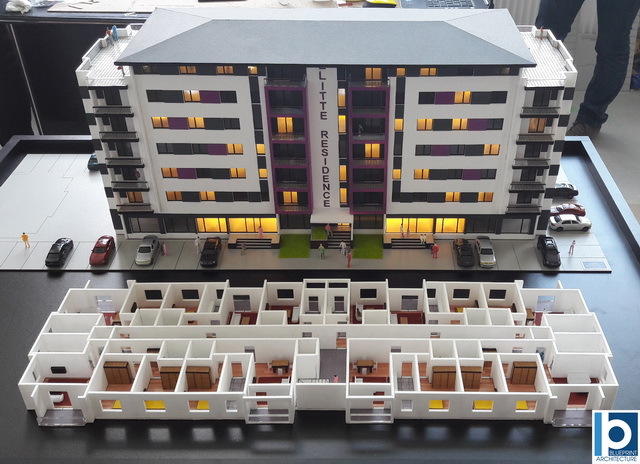 In this type of Architectural model we find precise but also modifiable data about materials, furniture, decorations and illumination. Sculpture Architectural models and shelves are used at this stage of the project as work papers for the theater workshop. The Architectural models of the interior spaces are built to present a final project. Based on a Architectural model of this type, the furniture may be discussed between designers and initiators. These Architectural models are mainly used in hospitals, hotels, as well as in theaters, concerts and congress rooms.